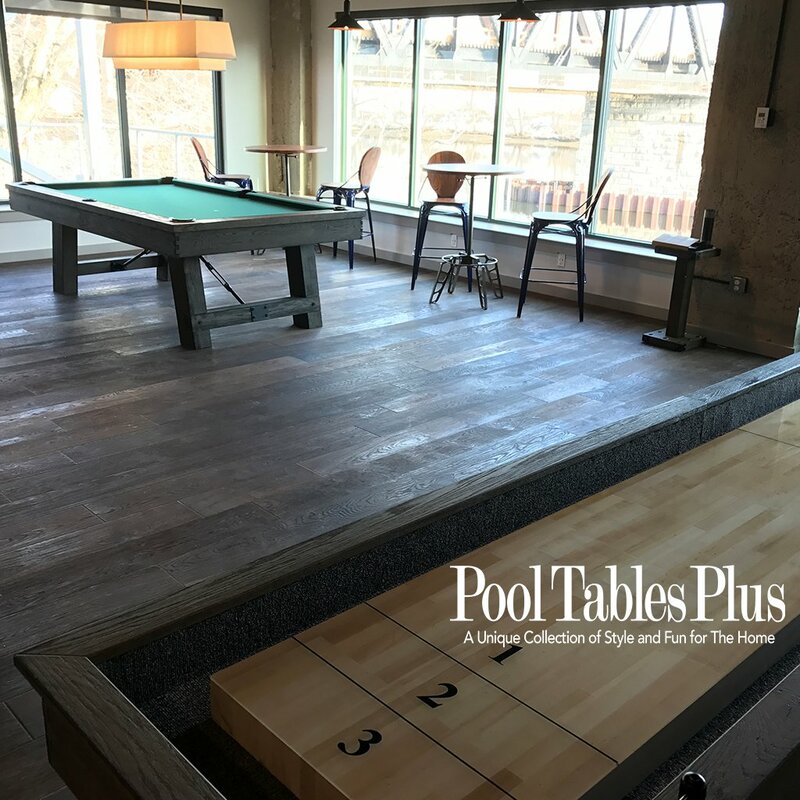 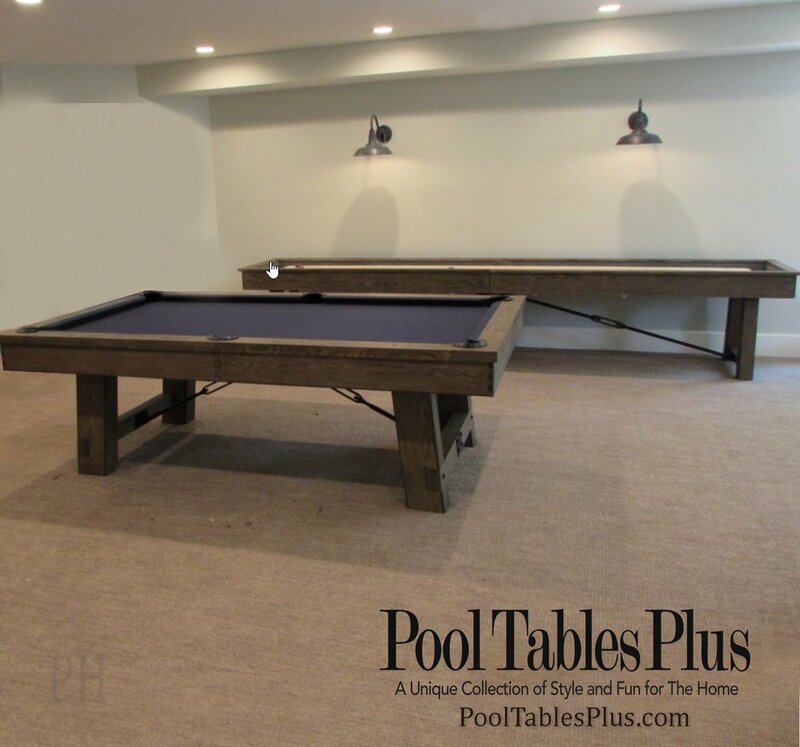 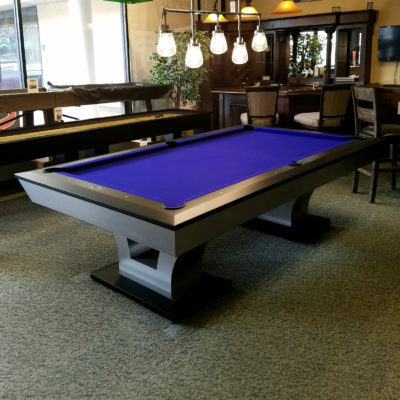 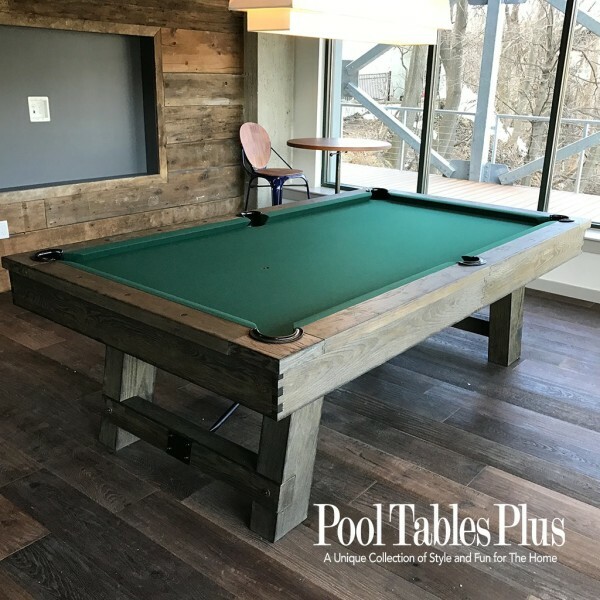 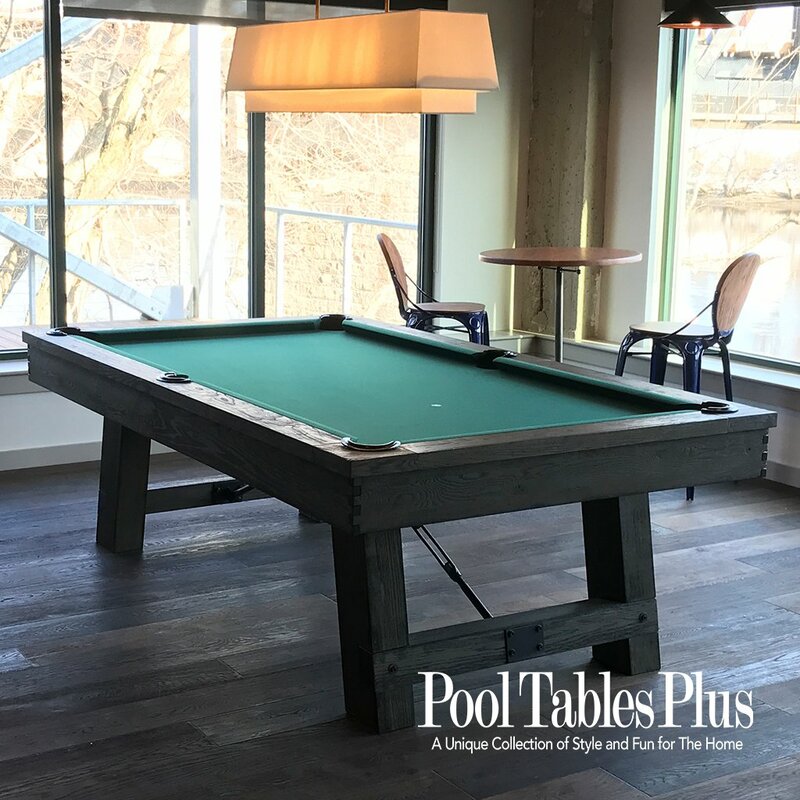 The Isabelle Pool Table is a stunning design in style and affordability for the discerning pool table buyer. 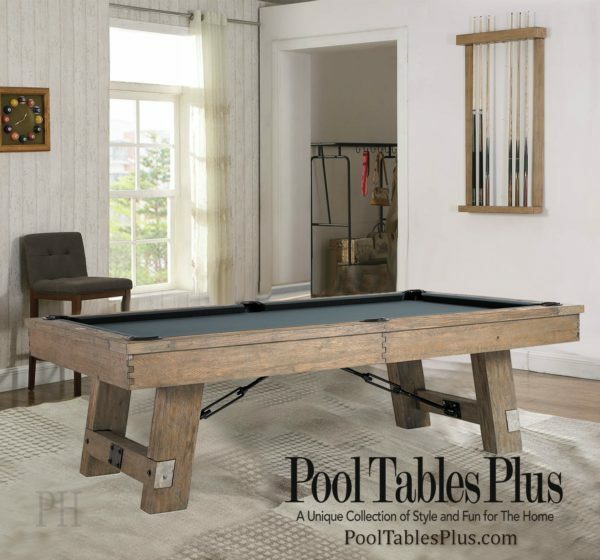 It will excite your senses while meeting your high standards for home décor. 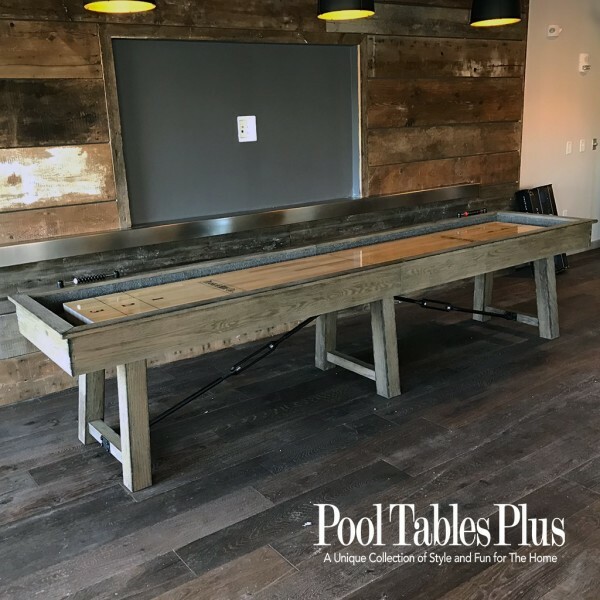 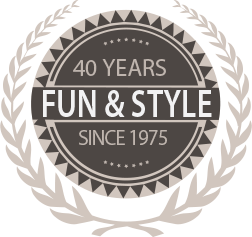 It’s modern design features solid hardwood construction, wooden legs with iron turnbuckles and extra wide modern rails with interior leather pockets. 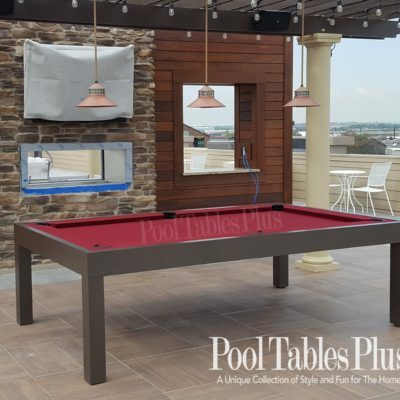 The Isabelle is made from solid oak and finished in a taupe/grey color.